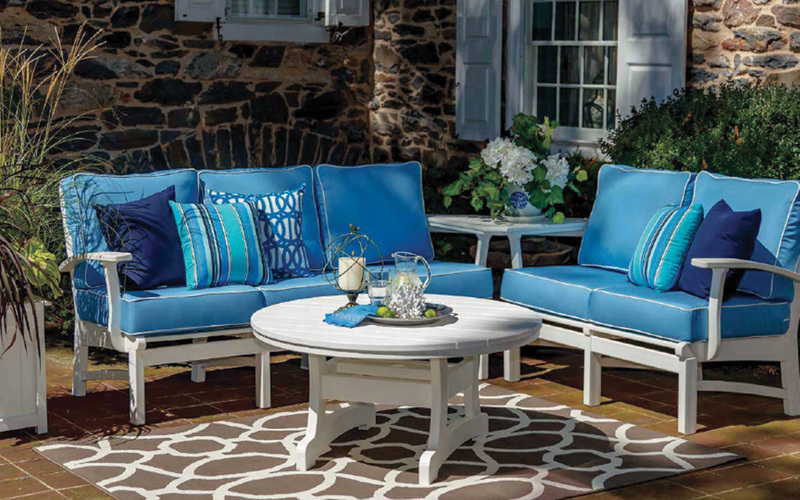 As Maryland’s premiere outdoor furniture store, we specialize in commercial grade sofas, sectionals, tables, ottomans, and more that can withstand the elements while adding class and comfort to any backyard. Explore a luxurious assortment of the best pieces our outdoor furniture store has to offer. Backless, armless, swivel, and more – our barstools will ensure you always have the best seat in the house. Our quality chaise loungers are perfect for relaxing by the pool or enjoying a good book and a cool beverage. Crafted from the finest, high-end materials, our wicker and teak outdoor furniture is designed to withstand the elements and maximize your comfort. Plush cushioning, meticulous teak and wicker craftsmanship, and custom fabrics in a multitude of colors converge to provide the ultimate in relaxation. Create a truly inviting atmosphere for dinner guests and partygoers with versatile and elegant outdoor seating that will not rust or deteriorate. Cozy up to comfort with our collection of deep seat loveseats. Ideal for smaller spaces and virtually any backyard, they are easily accentuated with colorful throw pillows or cushions available with quick shipping from our outdoor furniture store. Kick back and relax on our wicker and teak outdoor furniture and ottomans, featuring artisan-crafted selections from some of our top collections including Promenade and Bainbridge. Our wicker, high back rockers feature a classic round arm design, premium deep seating, and a durable resin weave. Build the sofa that best fits your needs with our expansive selection of high-quality sectionals, including outdoor wicker and reclaimed teak outdoor furniture. Three’s company with our luxury, 3-seater sofas, which will lend a gracious and welcoming respite to any backyard getaway. Enjoy the subtle, soothing motions of our swivel gliders by NorthCape. Available in some of our most popular designs, such as Malibu, St. Lucia, Cambria, Bainbridge, and Richmond. 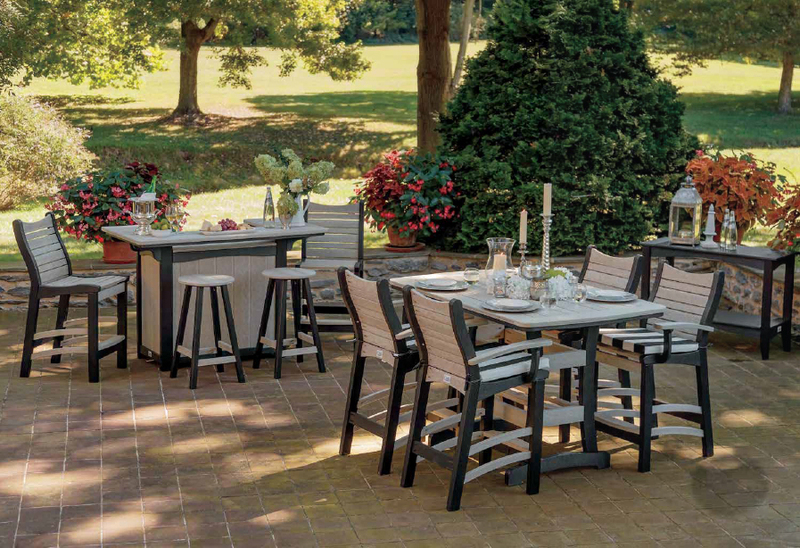 Whether granite, glass-topped, teak, or even ancient shipwood – our outdoor furniture store has a table to fit every space, every style, and every budget. Relaxation is just a few clicks away.